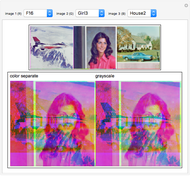 One of several color systems that Mathematica supports for images has three color layers: red (R), green (G) and blue (B). 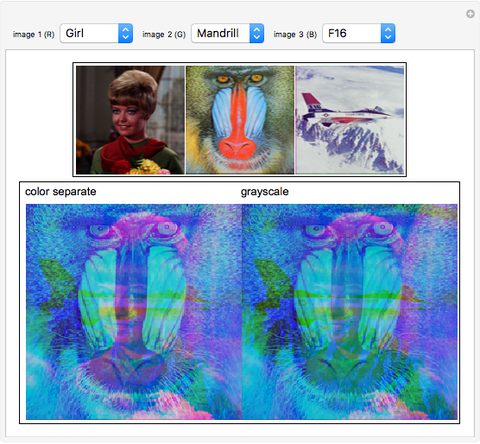 The "color separate" image uses the layers of each original image to build up a new image. 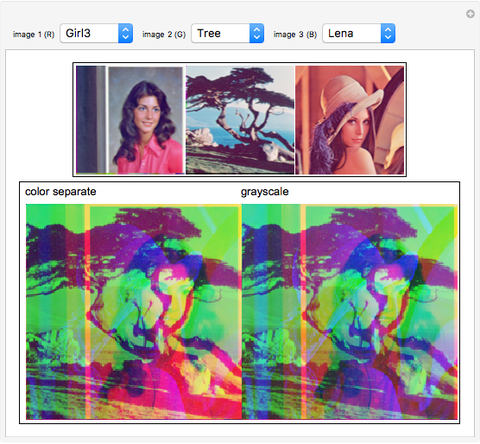 The "grayscale" image converts each original image to grayscale and then uses it as each RGB layer to compose a new image. Of course, information is lost from the original images. 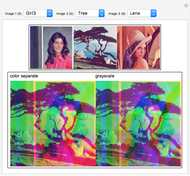 If you set the same image for RGB, it produces an original output and a grayscale version of it. 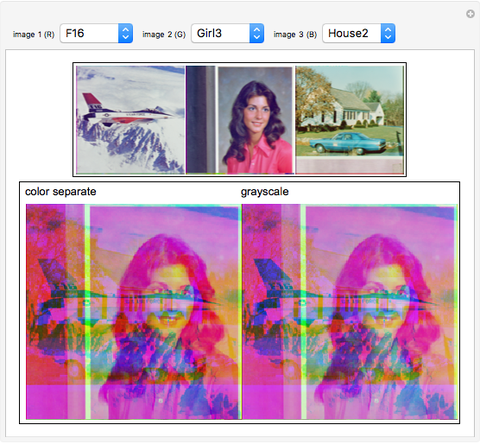 Daniel de Souza Carvalho "Combining Image Color Layers"